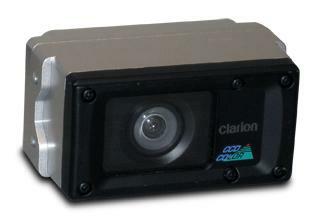 The side-vision camera is an aerodynamic multi-purpose camera with an extra-wide Þeld of view to make maneuvering your vehicle easier. The built-in microphone allows people near the vehicle to communicate directly with you. Automatic sensors allow for optimum image quality in low light conditions helping you see items more easily in the dark. Ideal for extremely cold weather this heavy duty, weatherproof black & white camera features a motorized lens cover that closes when the camera is not in use and an automatic heater that turns on when ambient temperature falls below 50¡ F (10¡ C). 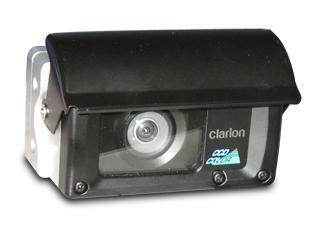 The infrared illuminators provide for better image quality in low-light conditions. 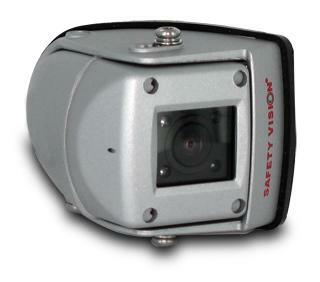 This heavy duty black and white camera has an ultra-wide lens (150¡ angle) for extended coverage. It is an ideal solution for large vehicles that operate in extreme conditions. 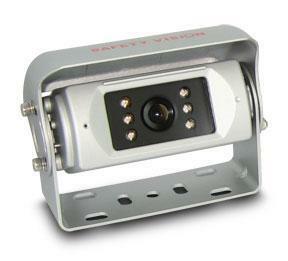 The camera is water resistant with heavy duty multi-sectional 8mm urethane cable and can withstand harsh vibrations. Additionally it has infrared illuminators for low-light conditions and an integrated microphone for hearing activity behind the vehicle. 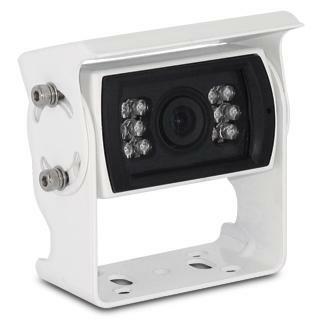 Compact, lightweight, waterproof aluminum die-cast housing; integrated microphone; wide-angle lens; weatherproof double O-ring seal connector; auto-iris lens that automatically adjusts to light conditions; normal/mirror image switch. This heavy duty, weatherproof color camera features a motorized lens cover that closes when the camera is not in use, an automatic heater that turns on when ambient temperature falls below 50¡ F (10¡ C) and infrared illuminators for better image quality in low-light conditions. 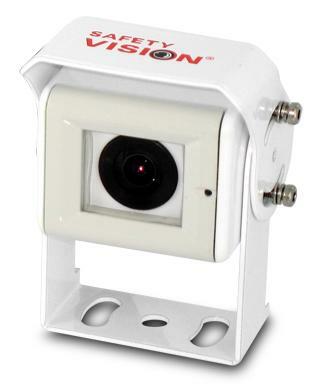 Heavy duty color CCD camera with mirror image. 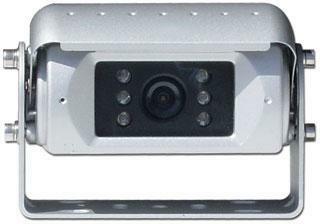 Heavy duty color CCD camera with shutter and mirror image.